Leaders of the world, we need you! The leadership style is characterized by the way you interact with your colleagues, supervisors, family and friends. An organization’s success depends on the top leadership and management style. Mission, vision, objectives and goals can be achieved with the proper understanding of business culture. It is imperative that leaders and managers work together to build a strong corporate culture, behavior and unified team in pursuit of success. 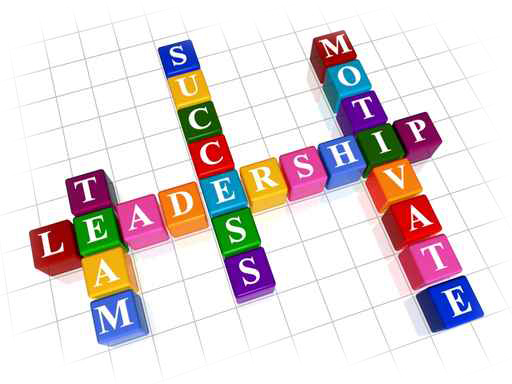 Leadership style influence level of motivation. Command-and-control leadership is the primary style in our society. With today’s changing technology, an individual must be willing to abandoned old skills and learn new ones. The ability to adapt is achieved through self-development programs. Being able to prevent problems is a motivating force. Front line employees may be aware conflicts, but they don’t have the authority to take action and have learned not to be concerned. Supervisors are only concerned with elements that management thinks are important. As a result, management takes action only when problems become too big to ignore. Out of training and on the job, motivation level will depend on the leadership style they work under. Under command-and-control leadership, ambitions will be associated with maintaining the status quo. Under worker responsibility, ambitions will be associated with opportunity. They will continually expand their skills as the need or as opportunity arises. Self-motivated people are goal motivated. Once they conquer one goal, they establish another. Every goal is a learning process. Companies that attract and keep this type of person stay on the leading edge. Recognition is important; it builds positive self-esteem. By itself, its benefits are short lived. Long-term benefits are achieved when the employee feels the job could not have been done without them. With a common goal, team members support each other until success is achieved. For this reason, team motivation is extremely powerful and useful in matrix organization. The exchange of ideas, information and testing the results, adds to the motivating force. As a result, each member seeks to be a leader of quality input. Effective leaders review the past to learn trends, patterns, mistakes and successes, and then they scan what is happening at the moment to see where they are, and then they look to the future to see where they need to be. The ability to learn from the past, observe the present, and focus on the future is a rare, but critical success factor taught in leadership skill development workshops and practiced by effective leaders.